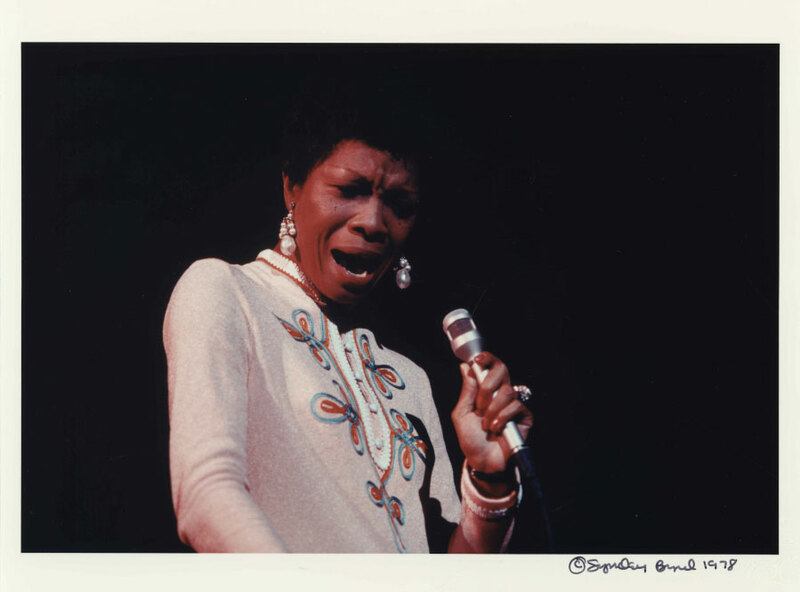 Germaine Bazzle, New Orleans' "First Lady of Jazz"
One of the true legends of New Orleans jazz, the elegant and graceful Germaine Bazzle is one of our most important jazz vocalists and a respected music instructor. After growing up in our own Seventh Ward and graduating from our local Xavier University of Louisiana, she began a teaching career during the day and entertaining in a traditional jazz band at night. Like our rhythm and blues Queen, Irma Thomas, Germaine’s voice is distinctive with a sweet soul to match. Influenced by the greats like Sarah Vaughan and Ella Fitzgerald, she took on a repertoire of classic jazz, American popular songs, show tunes, and the music of Duke Ellington. Sounds of the church were never far behind, and she sang regularly on Sundays with the Saint Louis Catholic Choir. Her voice is rich, full of quirks and surprises; she is truly an acquired taste. Her repertoire consists, for the most part, of classic tunes written by Cole Porter, George Gershwin and Duke Ellington, freshly interpreted and given new arrangements. In any standard number, she may imitate a bass, trumpet, saxophone and imaginary instruments. She will also add idiosyncrasies where they are least expected or veer off into scatting, always displaying an abundance of technique and flexibility and never singing the same song the same way. Bazzle radiates an engaging warmth and an infectious joy when she sings. The music flows through her and she resonates with it. Germaine Bazzle’s unique talent and unparalleled artistry as a vocalist is perhaps one of New Orleans’ best kept secrets. Her command of tone and melody coupled with her brilliance in the manipulation of her own vocal timbre are nothing short of spectacular. For more information on Germaine Bazzle and other women who excel in the genre of jazz, visit the Women of Note exhibition at The New Orleans Jazz Museum highlighting women in the evolution of jazz from its beginnings in the early 20th century to today’s vibrant music scene. Some of New Orleans jazz’s most beloved figures are women yet in many historical accounts women are relegated to the background or absent altogether. This exhibition presents accomplished musicians from the early days of jazz to the present. It also explores how these artists have navigated their way as women in a predominantly male musical culture. Women of Note examines the cultural, social and economic impact of women on jazz through historical photographs, instruments, recordings and other artifacts from their world-renowned collection. Like many aspects of the culture around it, early jazz was a world defined by men, and women’s public roles were restricted by widespread stereotyping and discriminatory practices. Women have been integral to the development and artistry of jazz. Interactive exhibits include a video archive of performances of great women jazz musicians. Listening stations feature selections of commercial recordings, New Orleans Jazz Club radio broadcasts, live recordings and recordings made at the Museum Performance Center. 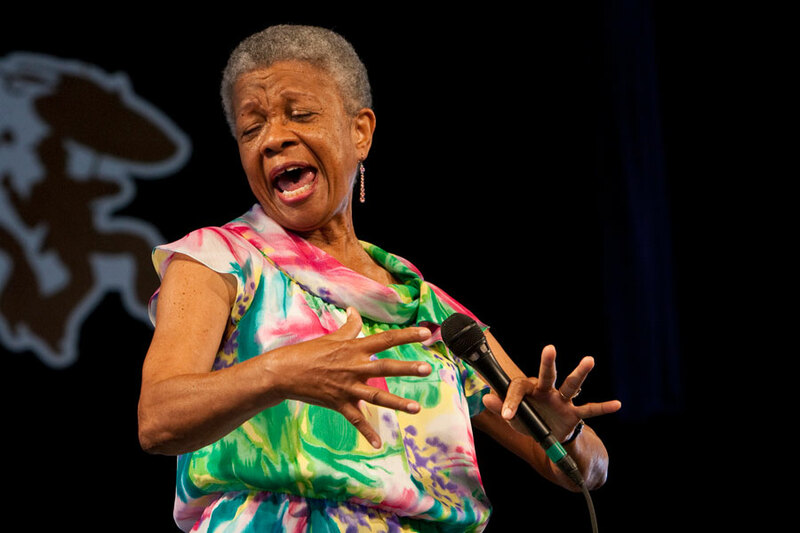 The talented Germaine Bazzle will once again be bringing her gift to the stage at the 2018 New Orleans Jazz Festival on Friday, May 4th. You can also catch this engaging entertainer at Snug Harbor on Frenchmen Street where she performs regularly. The New Orleans Jazz Museum at the Old U.S. Mint, 400 Esplanade Ave. 10 a.m. to 4:30 p.m. Tuesdays – Sundays.